Got a high-performance dad to shop for this Father's Day? Then don't give him a run-of-the-mill gift! When Western Union surveyed 1,000 people to ask the top items fathers have enough of to last the rest of their lives, the top of the list was tools (26%), ties (25%) and cologne (23%). So cross all those things off your shopping list for Father's Day and pencil in Century Cycles' gift recommendation for Dad -- the Raleigh Misceo 1.0 ($549.99). We like to call the Raleigh Misceo "the Swiss Army knife of bikes." It’s one of our most popular men’s models this season in a hot new bicycle category – the performance hybrid. 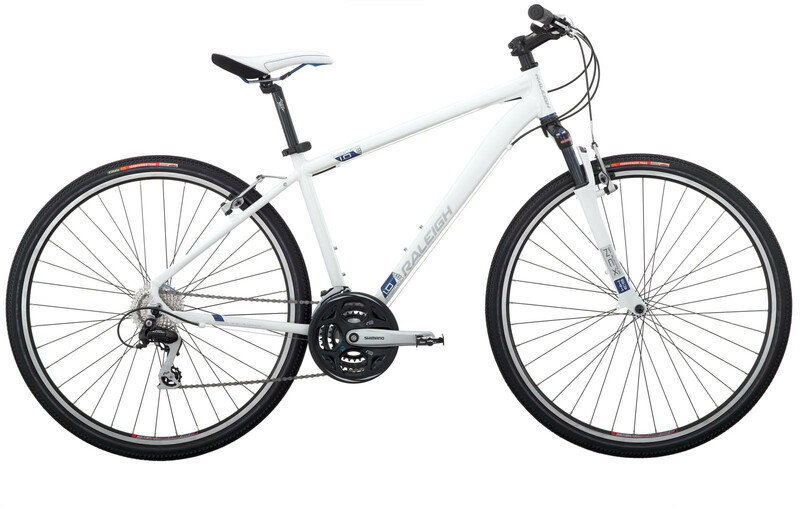 The Misceo is a super versatile bicycle that sports an aluminum frame and front suspension fork. They combine to provide a great ride on the road AND are rugged enough to handle the rougher terrain of an off-road challenge. Dad will also like that it has 24 speeds -- he'll have the right gears on both hill and dale. Want to upgrade Dad to disc brakes, a 9-speed drivetrain and a higher component level? Then give him the Raleigh Misceo 2.0 ($769.99).